How do dance and performance artists view their relationship with audiences? Moving beyond the “fourth wall,” can there be collaboration and reliance between artists and audiences? What do you expect from—or hope for—your audiences? What is the role of consent in audience participation? What creative ideas and approaches help attract and engage new audiences? Share what has—or has not—worked for you. Pictured: Marguerite Hemmings’ ‘we free’, Copyright Gina GIbney Dance Inc., photo by Scott Shaw. Curated and hosted by Gibney Senior Curatorial Director, Eva Yaa Asantewaa, this series of conversations and experiential gatherings highlights important issues in the dance community. Long Table conversations adopt performance artist Lois Weaver’s non-hierarchical Long Table format, encouraging informal conversation around topics of concern to the community. 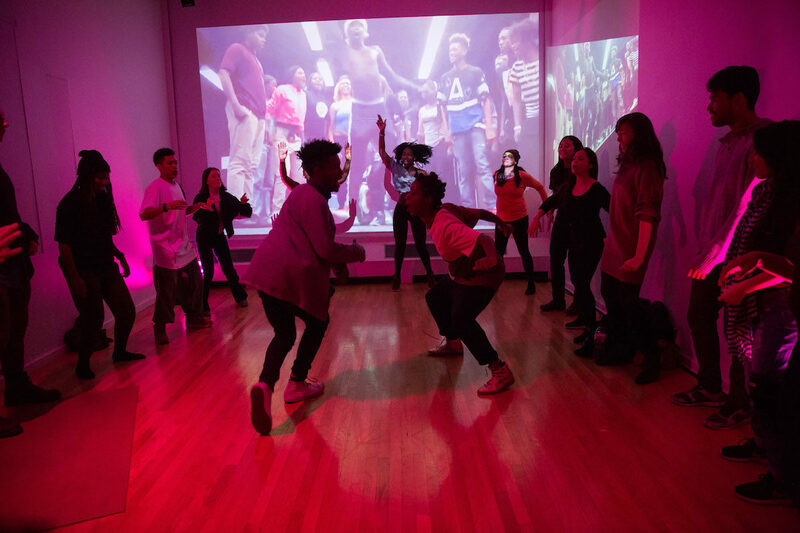 Circling Back events are experiential gatherings, guided by dance community elders, in which artists reflect on themes and ideas from the previous Long Table while sharing wisdom, core values, and ways of living that inform their creative movement practice. Each circle—unique in format and content—will establish respectful, generous and generative space held by the guides and all who attend. The accessible entrance for this location is located at 280 Broadway. Please note that this is a shared entrance with the New York City Department of Buildings. To access the elevator, attendees may be asked to provide a valid photo ID and go through building security, including a metal detector. Requests for reasonable accommodation or for access to the 280 Broadway entrance after 5:00 pm or on the weekend should be made three days in advance by contacting Elyse Desmond at 646.837.6809 (Voice only), or by e-mailing elyse@gibneydance.org.